Mmm, there are so many delicious treats to look forward to at Christmas time! 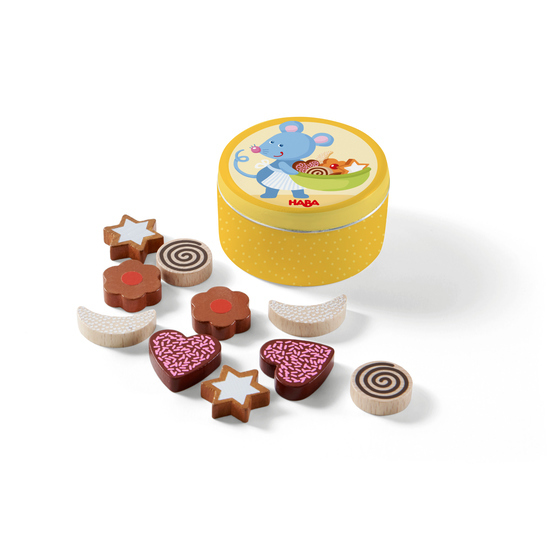 And now we have added delicious cookies to the HABA range. They are so realistic that, whatever your age, they will make your mouth water. Ideal for imaginative play in a shop setting and in the children’s kitchen. Contents: 2 x heart-shaped cookies, 2 x swirl cookies, 2 x shortbread biscuits, 2 x crescent-shaped pastries, 2 x cinnamon stars.